​Sir Charles transition to a mobile Tailor only means better service to you, my valued customer because I'll come right to you and when your garment is ready I'll deliver it. Custom made Suits and Shirts. You only get one chance to make a right first impression! 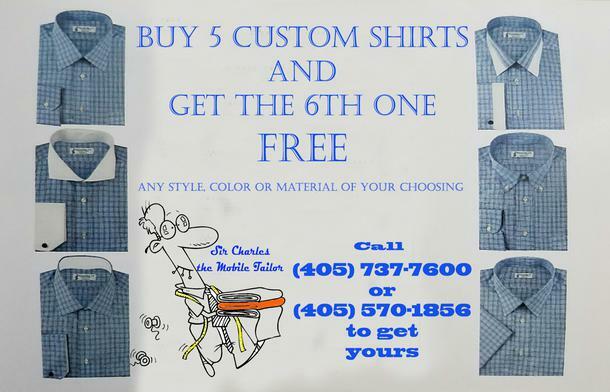 Let Sir Charles The Tailor help you feel comfortable and confindent in whatever you wear. to make your appointment with Sir Charles.